Valentine’s Day Cheese & Beer Tour! Grab a loved one (best friend, lover, ex-lover, future lover) and hop on our Valentine’s Day tour! Includes: a flight of beer at each location, behind the scenes tour, all the beer info you want, and a complimentary cheese plate curated by Vagabond Cheese Co! Have you fulfilled your New Years’ Resolution to drink more beer this year? If not, there’s still enough time to cram it in at one of the many Los Angeles breweries before the end of the year. And if you didn’t make that resolution… then what’s wrong with you? There is an insane amount of good beer in Los Angeles right now and you should be drinking it. With friends. At the breweries where they make it. 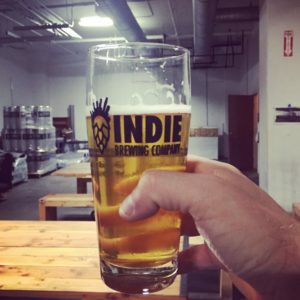 Here’s a list of all of the new Los Angeles breweries. 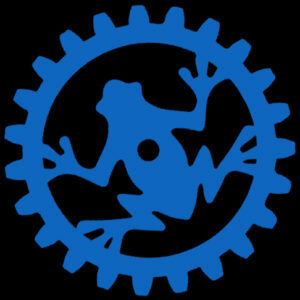 If you want a full list of all of the LA breweries, please check out our page here: labeerhop.com/breweries. 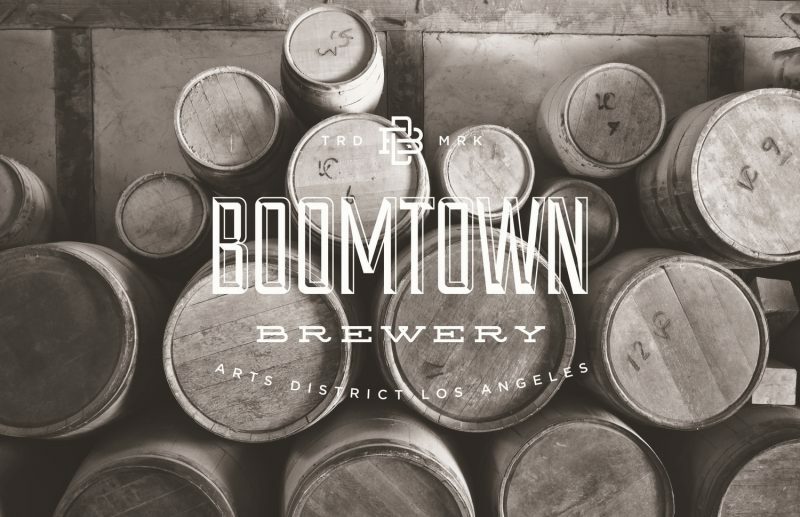 Located in Boyle Heights, this shabby industrial taproom serves finely-tuned beers on the weekends and in 16oz cans. 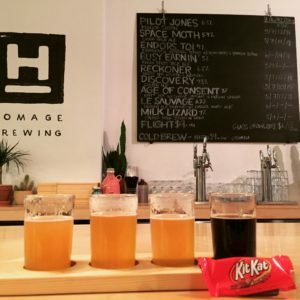 If you want to visit, they’re hosting a cheese and beer event with Vagabond cheese this Saturday (12/17) at their taproom. Equal parts brewery and warehouse party, this Arts District brewery is now open every weekend serving around 10 or more different crafts. A homebrew shop turned tasting room and brewery. They’re not officially “open-open” yet, but they’re open enough to count them in the class of 2016. They were contract brewing for quite a while before opening their brewery in Torrance a stones throw from Monkish, Smog City and The Dudes (I think you could literally hit Monkish with a stone from Cosmic if you were really good at throwing stones). Also, you pour your own beer here, no bartenders. 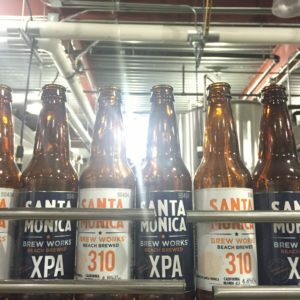 They’ve been brewing for a while, but their rather large Santa Monica taproom officially opened this year making them the only taproom in Santa Monica out of all of the Los Angeles Breweries. 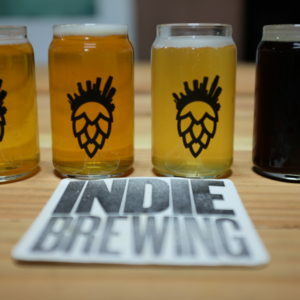 Go to check out a wide range of beers brewed onsite and grab some food from their rotating schedule of foodtrucks. 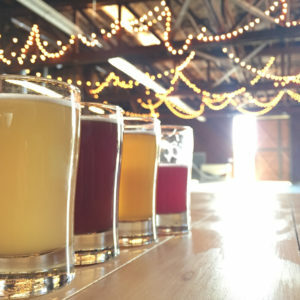 Formerly part of the contract brewing club, Brouwerij West had a much-anticipated opening this year at an enormous location in the Ports’o’Call in San Pedro. 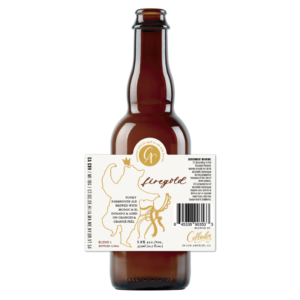 They make a bunch of experimental (and good) Belgian and French-style beers in a taproom that could fit a fleet of elephants. Alright, it’s out in Pomona, but it’s worth the trip. It’s the first brewery to really adopt the white walled, green plants, clean atmosphere of a coffee shop (I’m looking at you Dinosaur coffee). You might say that this brewery is “on trend”. And boy are they doing things right. Innovative beers, trendy styles done well, well adorned taproom, good music, and incredibly warm people. Do yourself a favor and head out to Pomona. The only combination brewery and distillery in LA (although we definitely smell more coming), Rob Rubens opened his speakeasy-style tasting room and brewery/distillery in El Segundo this year. So far, they’ve made some pretty tasty beers and a small collection of spirits: vodka, gin and a white whiskey. Maybe one of the most anticipated breweries, certainly one of the quietest, this small brewery is operating all the way up in North Hills slowly turning out some really innovative oak aged beers. They don’t have a tasting room yet, but you can find their liquid in small format bottles around LA (they’ll be in large bottles soon). Look out for Firegold – A funky farmhouse ale brewed with Mosaic and El Dorado aged with oranges & orange peel in a French Oak Puncheon. They just put beer out in the marketplace but their taproom isn’t open yet, so they JUST made the cut to be part of the class of 2017. This Gardena brewery also just got Robert Sanchez from Kinetic Brewing to come and serve as their Brewmaster. Be on the look out for lots of fun beers in 2017. Started by Patrick Schulz and Jason Kolb (blend their two last names together and you get…. “Scholb”… Ta-da!) this two-family brewery opened up about 50 yards away from Absolution in Torrance and instantly became a fan favorite. It’s a one of the friendliest taprooms you’ll find anywhere, filled with well made beers, smiling bartenders and locals. Does this mean the LA Beer scene has come full circle? 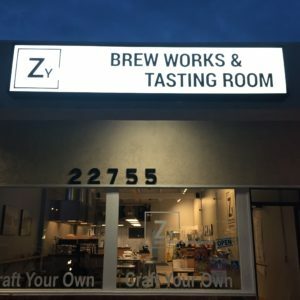 Zymurgy Brew Works, located in Torrance (of course) is a DIY Brewery and taproom. You can now brew your very own beer alongside professional brewers who assist you in every aspect of production. *Breweries with a “*” have brewed before this year, but they opened their taprooms full time in 2016.